A graceful guide for make-believe ballerinas. The life of a ballerina is not just about looking lovely and dancing divinely. There are feet to care for, tutus to fluff... And just what is the secret to preventing dizziness from all that spinning? 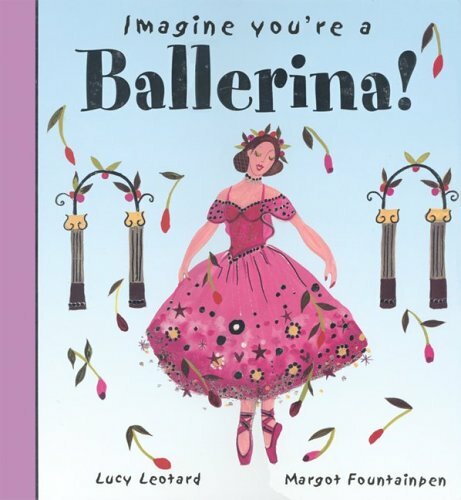 Leap into Imagine You're a Ballerina! and take center stage in an elegant ballet of the imagination. Budding ballerinas will learn important vocabulary (know your prima from your pirouette), costume tips (Swan Lake outfits should, in fact, never get wet) and hairstyle suggestions (beware long locks that tangle other dancers). They'll also find advice on accessories, more "do's" and "don'ts" of ballet, and some fascinating facts from the history of dance. Complete with story snippets of famous ballets, ballet-themed crafts for aspiring artists, and tongue-in-cheek details of all things ballerina, Imagine You're a Ballerina! is sure to lift young readers' imaginations. About Meg Clibbon (Author) : Meg Clibbon is a published author of children's books. Some of the published credits of Meg Clibbon include Magical Christmas, My Wicked Pirate Journal, Lots of Love. About Lucy Clibbon (Illustrator) : Lucy Clibbon is a published author and an illustrator of children's books. Some of the published credits of Lucy Clibbon include Magical Christmas, My Wicked Pirate Journal, Lots of Love.